West of Ireland champion Joe Lyons is determined to prove his stellar 2007 season was no flash in the pan. The Offaly ace, 35, has decided to hit the gym and take time off from his job as a social care worker so he can win more trophies and international honours. 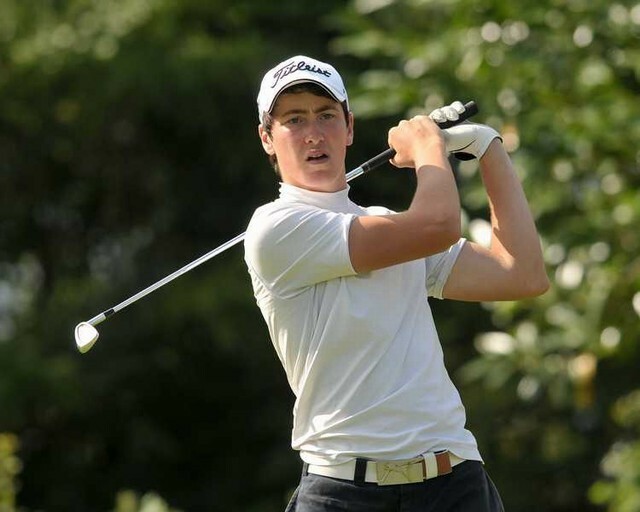 After lifting the 'West' at Rosses Point and reaching the final of the South of Ireland at Lahinch, the Banagher native was thrilled to get an international call-up last September. Now he's hungry for even more success and he'll get his 2008 campaign rolling at Co Sligo when he begins his defence of the Radisson SAS sponsored 'West' on March 21. Lyons said: "I am chomping at the bit to get going again. I am in the gym now, doing some cardiovascular stuff to get ready. "I had an unbelievable 12 months going back to September 2006, winning the Senior Cup with Galway and then winning the 'West' last year. "Then there was the final of the South, winning the Barton Shield and then getting my first Irish cap on top of all that." Lyons has set his sights on another Home Internationals cap at Muirfield next September. And after pulling off a miraculous comeback from early disaster at Rosses Point last year, he knows that nothing is impossible. He recalled: "I remember standing on the fourth tee in the first round and I had started six-six-five and I was four over par after three holes. "I thought he was joking but I got it round in 72 that day and again the next day and I look back and think that was the biggest achievement of the week. "Winning it was great but I felt like walking in after those first three holes. It just shows you what can happen in golf. "It will be a hard act to follow but I am will try my best. There is no point in looking back and my ambition is to make the six-man Ireland team for the European Amateur Team Championships in Italy in July. "My employers at the Health Service Executive in Galway have been very good to me and I will be taking two months unpaid leave during the summer and another bit of time in annual leave. "At this time of my life I don't have too many years left so I am going to give it 100 percent this year." Baltray legend Reddan, 62, will be back at Rosses Point seeking to add a second West of Ireland title to his long list of achievements - 30 years after he beat Kenny Stevenson 3 and 2 in the 1978 final. With Easter falling early this year, a limited field of 120 will tee it up in the Radisson SAS sponsored event from March 21 - 25. Lyons will be bidding to match Rory McIlroy and successfully defend the title but it won't be easy against a top quality field. The qualifying cut fell at its lowest mark ever of 0.5 with 82 of the 120 entrants playing off plus handicaps. Paul McGinley failed to end his three-year victory drought in the Hassan II Trophy in Morocco. The Dubliner, 41, was bidding to follow in the footsteps of Padraig Harrington, who lifted the jewel encrusted dagger awarded to the winner last year.